Bangkok, a city in a swirl of on-going change. In our previous survey of Tokyo’s Kanda River, we discover that the backs of buildings face the river creating and area of dark contrast in the middle of the city. But here along the Chaopraya River the opposite is true with the front facades lining the waterfront. Open-air restaurants and bars occupy the rooftops, as the spectacle of the city spreads out below. The Millennium Hilton, Bangkok, opened in May of 2006, is the first major hotel brand to open a hotel in the country in 20 years. The hotel boasts 543 riverfront rooms. With a UFO-like disk on top of the building, the cool-modern design stands tall among the neighboring structures. Along the riverfront, a private pier is provided for guests and dinners at the restaurant and bar. As river taxis come and go, the warm spots of light along the river reflect and shimmer on the water surface. 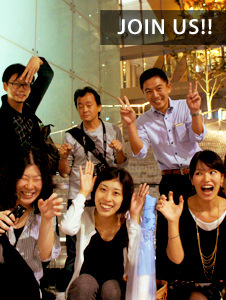 Scirocco, one of many open-air restaurants, is approximately the same height as the special observation room at Tokyo Tower, 246 meters above ground, but without the glass barrier!. Without a glass window the lights of the city below seems so much more clear and real!! At the next table sat an older coupe that came to watch the sunset. The woman was surprised when presented with a big bouquet of flowers, undoubtedly a romantic gesture from her husband. 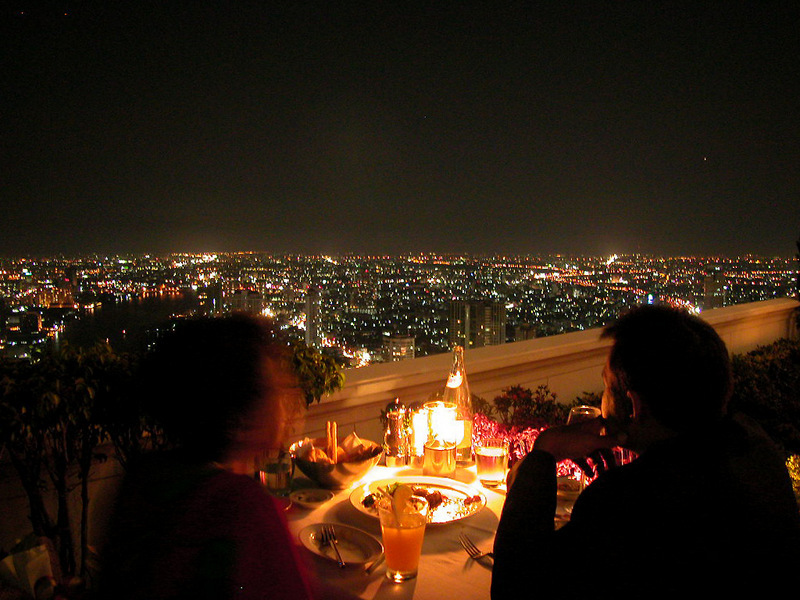 A single candle on the tables is only you need to enjoy the atmosphere high above the city. 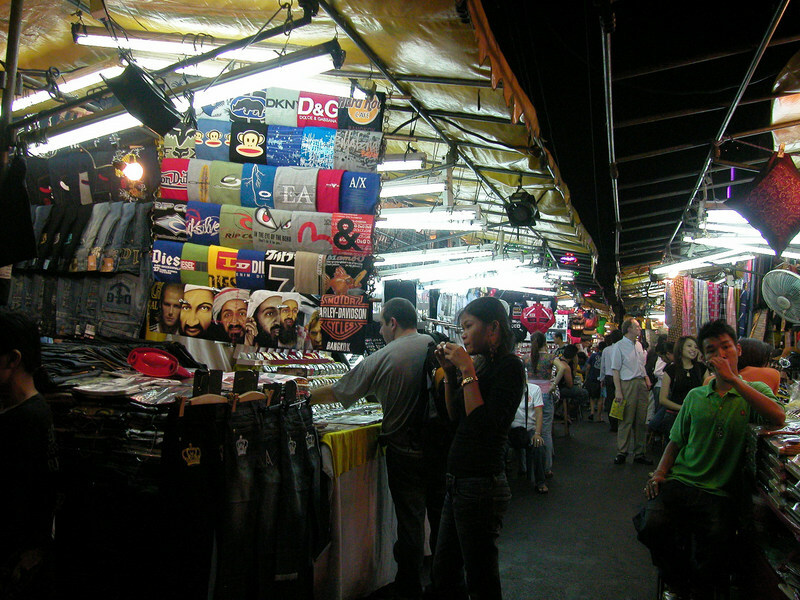 At the night market along Silom Street, small stalls are packed in tight along the 500-meter stretch with fluorescent lights jetting out of the stalls. And the power source? Following the cables to the back of the stalls and we find extension cord after extension cord stuck into outlets fitted inside plastic bottles, makeshift water-resistant contraptions, public phone booths, and naked switchboards attached to the front of some stalls. Most stalls are equip with two 40 W fluorescent tubes, hate to think of the total amount of electricity being consumed!